After I left Theler Wetlands Wednesday I went to the Port Orchard Marina hoping to see some sea ducks. The lack of sea ducks at Owens Beach and Ruston, particularly the lack of Goldeneye and Scoters, has begun to concern me. Despite its external beauty, Puget Sound has suffered for years from increased pollution, resulting in fewer birds overwintering here. It’s hard to know whether this year’s lack of sea birds is the result of a lingering summer or lack of food for the birds. 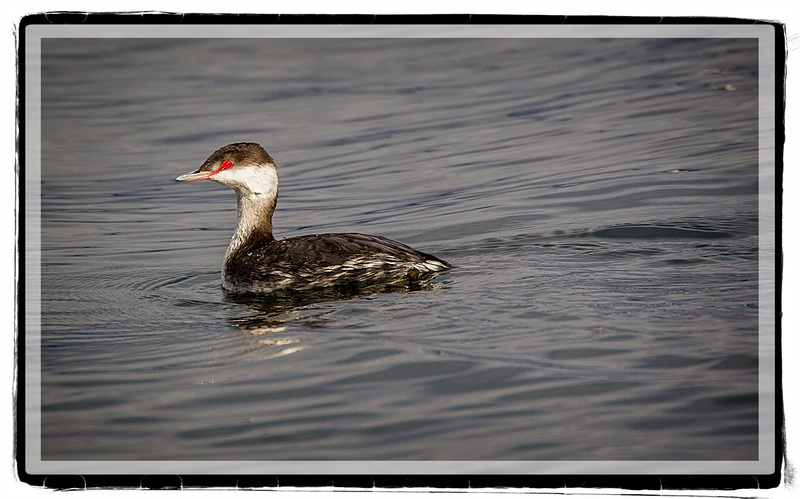 On my last trip to Port Orchard the only birds I saw were gulls and a single cormorant. 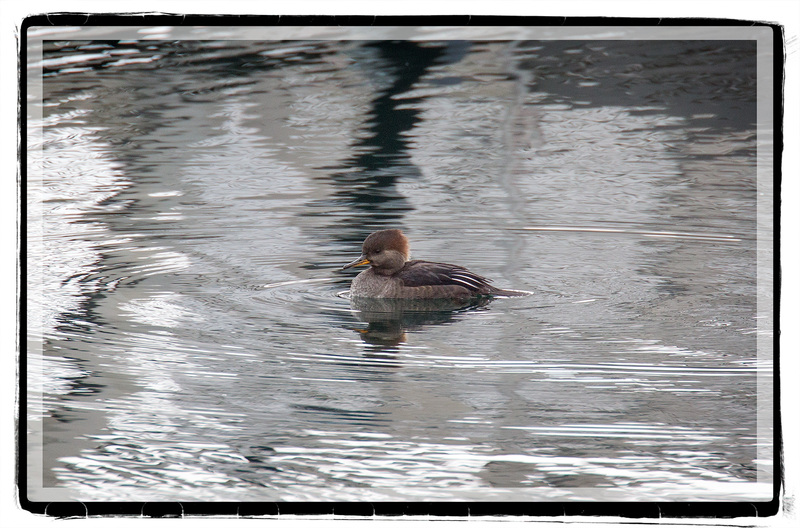 I felt a little reassured when I was greeted by this female Hooded Merganser as I entered the marina. 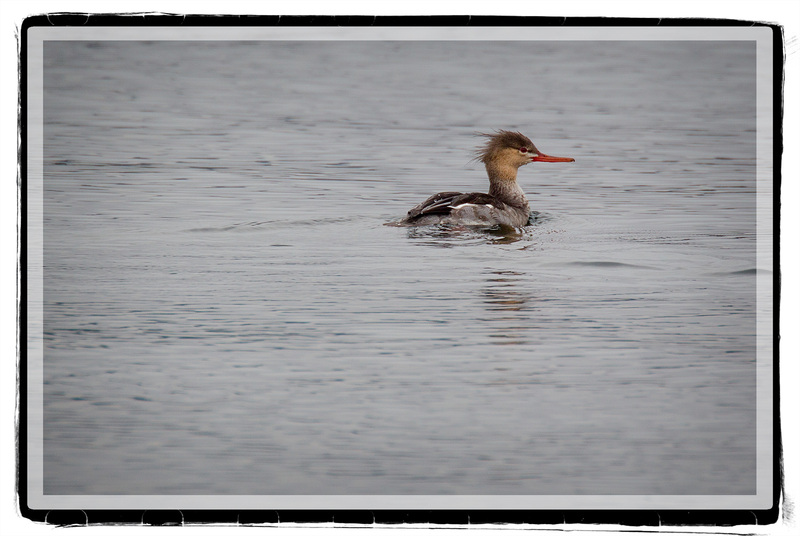 This male Red-Breasted Merganser wasn’t actually in the marina, but it was close enough that I could capture a shot of it. I wonder if it’s the same one I tracked so often last year trying to get a shot of it in flight. T here still weren’t many Horned Grebes, but there was a single bird in the center of the marina that was willing to be photographed. 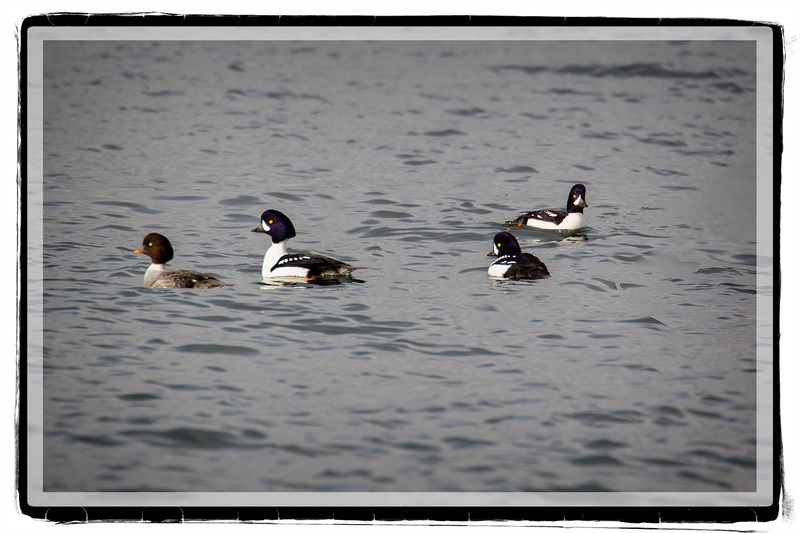 I didn’t see a single Goldeneye in the marina, but there was a small flock a ways off the end of the dock. I wondered if the high tide was keeping the Goldeneye and Surf Scoters off shore. During low tide the barnacles they seem to favor are much more exposed. Relleno and Leslie and I can end our weekend trip with a stop at Amy’s without feeling like I’ve driven too far out of the way. Next ›Are these Greater or Lesser? It’s good to see that the ducks have returned. We’ve been wondering if the warming ocean has changed some of their seasonal habits. The migrators have returned here, but it seems later than in past years. I’m glad you are watching there, for both the joy and the record.